Blend A - Bon Appetit S (TV Size ver) [CatchTheBeat|Osu] · forums · community | osu! 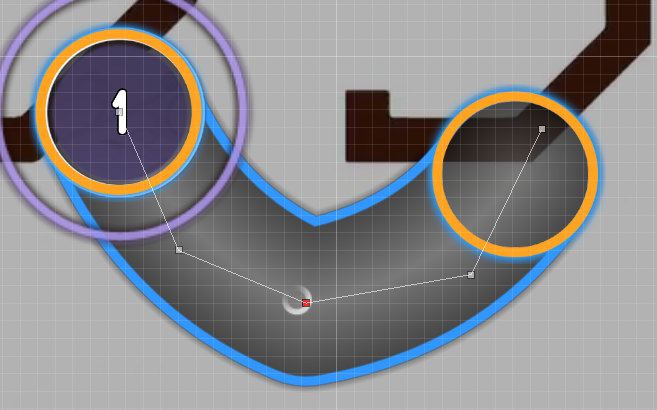 00:03:585 - A circle here to keep the gameplay going on? 00:25:493 (3) - Stacked on purpose? 00:18:190 (4) - nc here? 00:49:375 (3) - maybe try this? 00:59:638 - pute note here? 00:18:191 (4) - nc here? 00:40:296 (2,5) - do stack? 01:02:599 (2,1) - hmm, stack? 01:16:415 (1,2) - After such a pause, 01:17:994 (1,2) - this pattern is played very uncomfortably, can reduce the space? 00:32:209 (1,2) - Fix blanket? Prev point it isn't snapped at any diff, I don't know if you want to change this or its intetional. 00:58:458 (2,3) - This might confuse beginners and since there is no easy, this is what they will have to play. 01:14:050 (2,3) - Blanket not perfect. Inherited timing points: 00:41:682 - , 00:44:840 - , 00:57:669 - , 00:59:051 - , 01:05:366 - , 01:06:945 - are not needed. 00:09:314 (3,1) - el blanketto? 00:46:222 (3,4) - same as before,the circle (3) should give a space for represent the cymbal more.in this case maybe you can stack circle (3) on 00:45:827 (1) - the tail of slider (1)? 00:33:787 (1,2,3,4) - you kinda waste the vocal here,i mean the vocal could be more better emphasize if you unstacked it and make a new pattern that could be more attractive.maybe like a square pattern? 01:10:098 (1) - ctrl+J? why? Last edited by Underforest October 17, 2017 at 12:41:28 AM GMT , edited 2 times in total. 01:12:866 (7) - reverse this slider one more time for get the drum roll correctly I think I'll keep it with one repeat, since the jump between the this slider and the next would be huge, so I prefer to keep it for now! Not good with mapping this kind of map sorry!!! ⏩00:15:827 (55,56) - Maybe change to ddd for coherence (feeling) with 00:12:866 (41,42,43) - ? ⏩00:42:669 (63,64,65,66) - Exchange pattern with 00:44:051 (69,70,71,72) - ? 00:42:669 has a pitch inscending I think. ⏩01:08:722 (77) - Should 00:56:090 - also have a don for consistency? It is already very good. ⏩00:14:248 (44,45,46,47) - Change to kd dk? For a cohered pattern with 00:15:037 (49,50,51,52) - . ⏩00:36:353 (69,70,71,72) - Change to kd dk if you like ;w; It sounds better to me. Same reason as above. ⏩00:45:827 (121,122,123,124) - Change to dk dk? I think it can sort of relate to 00:18:393 (67,68,69,70) - . ⏩01:00:235 (70,71,72) - Make it ddddK? You did kkkkD at 01:04:972 (25,26,27,28,29) - You have one singled-out Quintuple ¼ in the kiai, but it kinda feels weird. ⏩00:14:248 (44,45,46,47) - Change to kd dk? For a cohered pattern with 00:15:037 (49,50,51,52) - . They sound slightly different to me. I applied all the points. Thank you for the mod! Last edited by _handholding October 22, 2017 at 1:18:27 PM GMT , edited 1 times in total. I do not have much experience in taiko but something I can do! GREAT MAP! As always Good luck!